Due to Yahoo and AOL's settings on their outgoing emails (including related domains like aim.com), they are not very compatible with making submissions to the list. Mail from Yahoo and AOL will have the from line changed to be the lists email address, with your "name" included. It is suggested, strongly for people who post regularly, to change their email address to something besides Yahoo or AOL. Please see Changing my email address for details about how to change your subscription to a new email address. Welcome to the Arlington List. 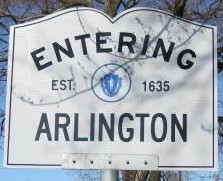 The list is a moderate to high volume list for people to help people and discuss what is happening in Arlington, Massachusetts. The intended feel of the list is a long back yard fence where neighbors can chat, trade stories, and get some useful information. Need something? Someone may have it. have something you don't need? Someone may help you get rid of it. What's happening in town, it likely will be mentioned here.